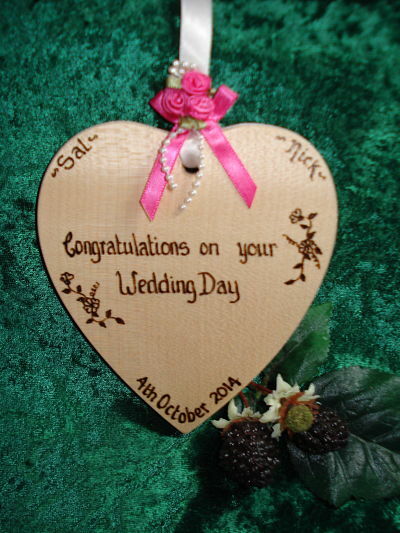 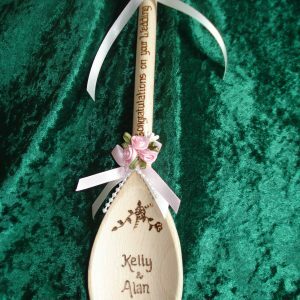 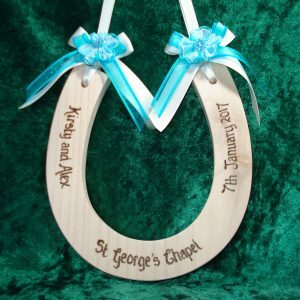 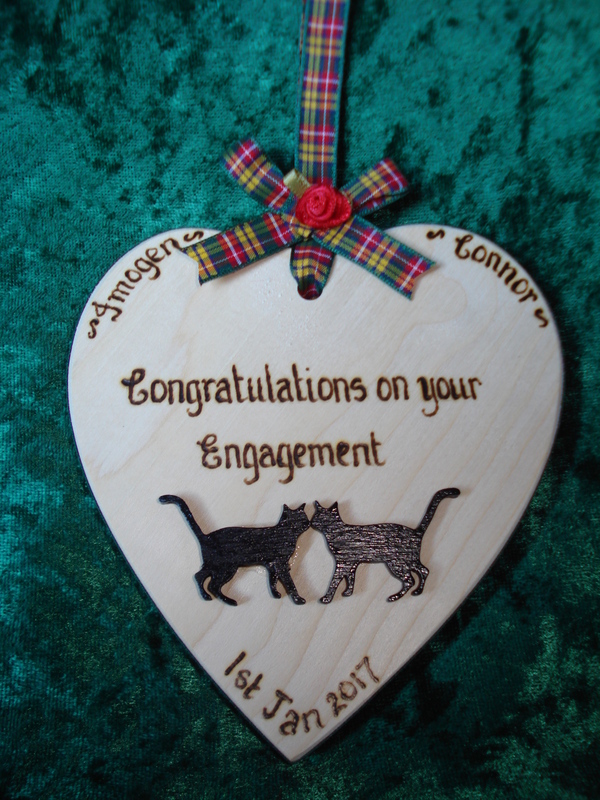 Beautiful Personalised Wedding Heart made from the finest quality sycamore. The heart hangs from a satin ribbon so the bride can carry it over her wrist. 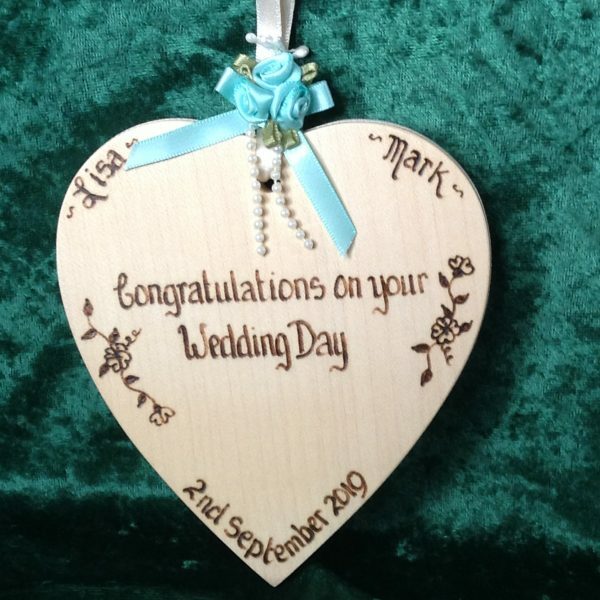 Embellished with triple satin ribbon rosebuds adorned with tiny pearly bead strands and ribbon bow. 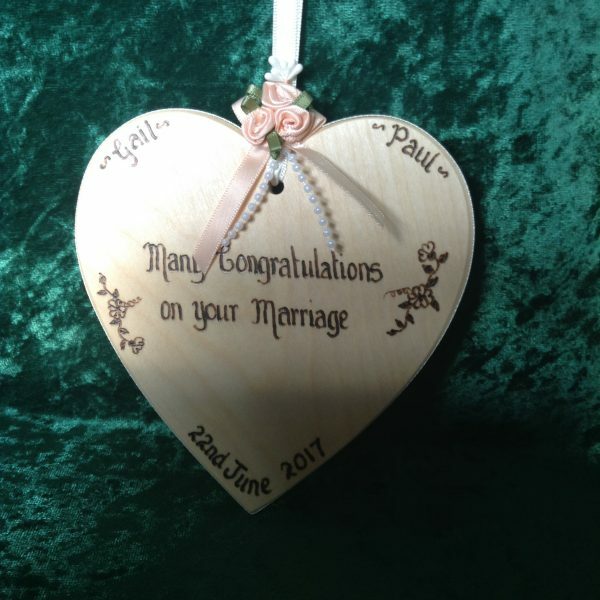 The ribbon also edges the heart plaque. 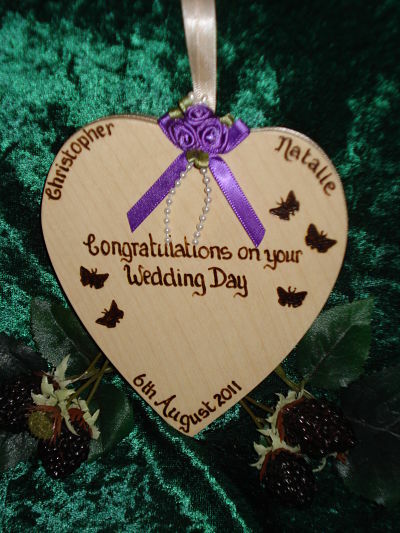 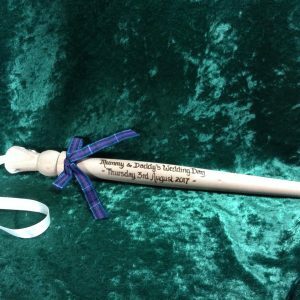 A good range of colours to match most wedding themes is available. 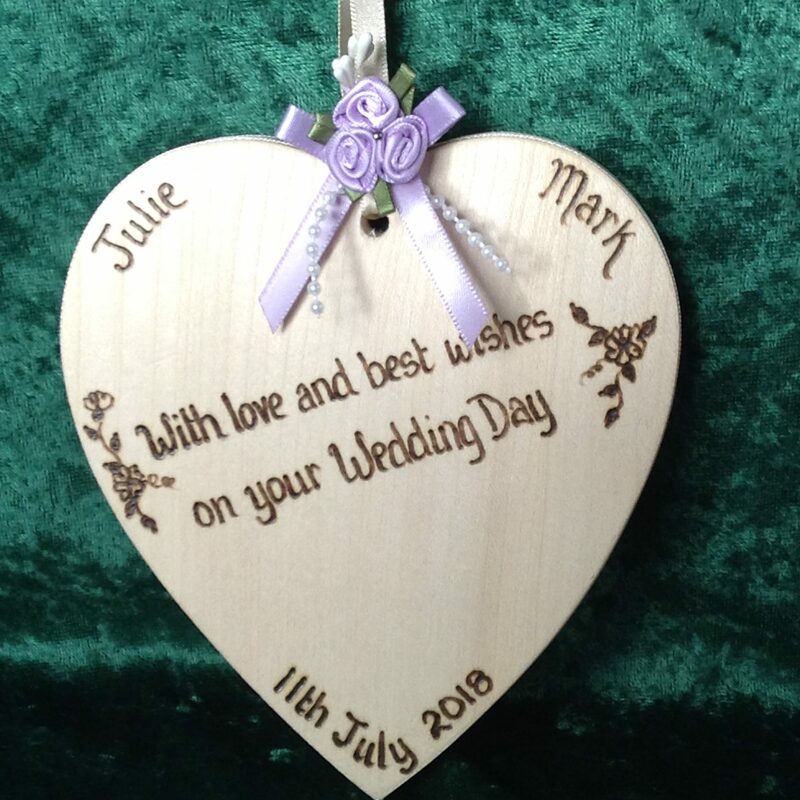 The heart can be personalised with the couple’s names, date of wedding and a personal message on the back (optional) Please state if you would like butterflies or flowers to decorate your heart Also perfect for Engagements.